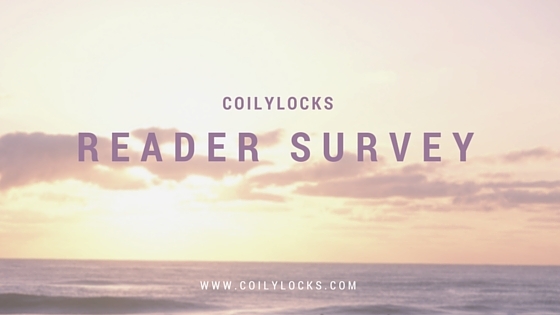 Coilylocks Reader Survey – Help a Sista Out! Almost 8 years ago I published my first blog post. Then my 2nd one was 4 years later…LOL! That was just after I did my first Big Chop and I wanted to share my journey with the rest of the world. So much has changed since those first two posts and it amazes me daily how much it has grown along the way. I’ve had a chance to make new friends literally all over the world with me just rambling out things going on in my life.